I love Bread! It is my diet downfall. While I do try to go low-carb and gluten-free most of the time, I simply cannot resist a good bread. I often tell myself, “Ok just one slice with butter and that’s it!” Oh well, before you know it I’ve had three already. 🙂 I don’t know if it’s the bread or the butter, or perhaps both – but I never ever end up eating just one slice even though I resolve to do so. So, I resort to nothing at all sometimes – but you gotta live, right? So on occasion, I indulge in a slice or 2 – ok, 3 then. 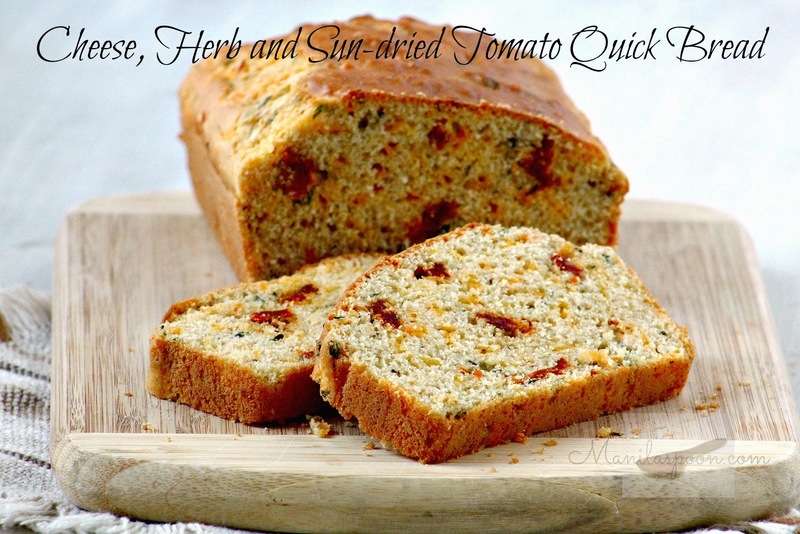 This bread as the name connotes is easy and quick to make. I am not much of a baker though I dream that someday I’ll be able to make bread with yeast. For now, quick and easy is fine for me. 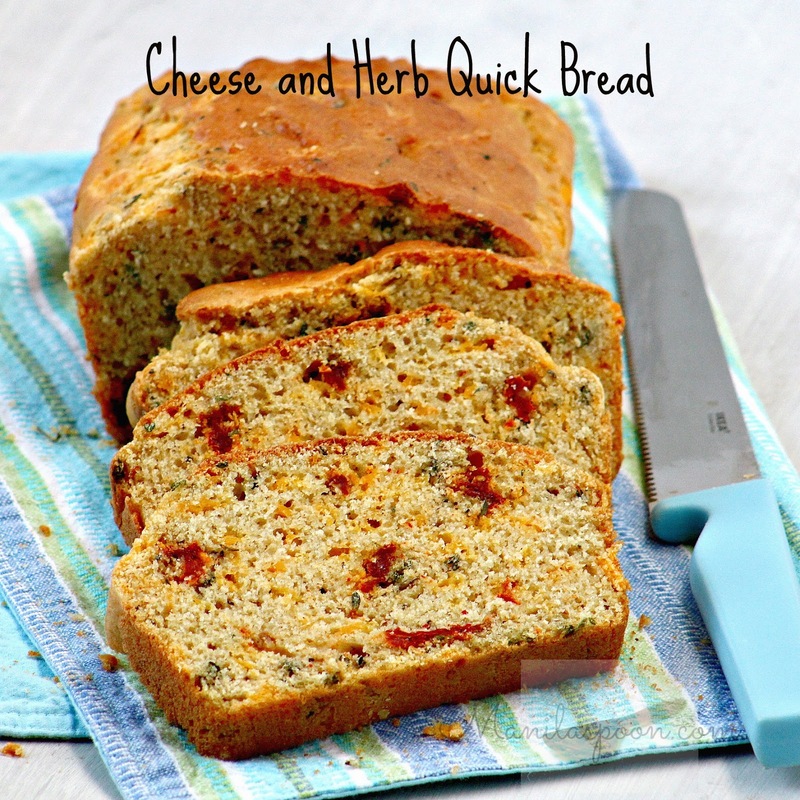 Do you love cheese, herbs or both? Then this savory bread is for you. It’s not a sweet bread but it truly packs in a lot of flavor. The taste of the bread really depends on which type of cheese you use and the choice of herb, of course, hence, it’s quite a flexible recipe in that sense. Use whatever is your favorite cheese though I would suggest using a strong mature cheese for extra flavor. You can also tweak it to your taste.Wanna make it a little sweeter, add some sugar or totally skip it for a truly robust cheese and herb flavor. 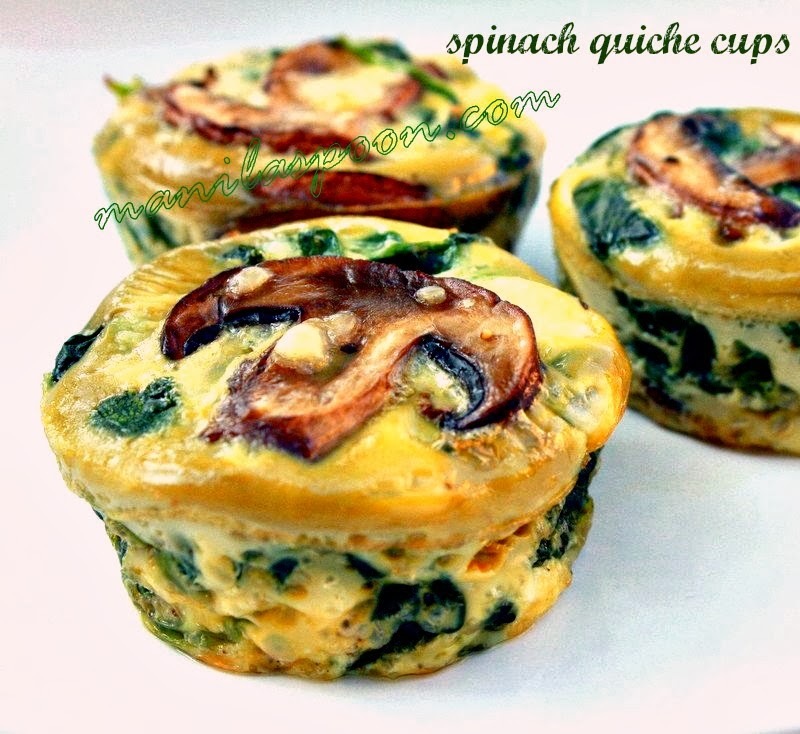 However you make it, it is a great savory component for tea time. Of course, I would suggest buttering it up, too! Enjoy! Butter or grease a loaf pan. In a bowl, whisk together the flour, baking soda, baking powder and salt. Add the cheese, herb of choice, pepper (if using) and tomatoes. In a separate bowl, combine the oil or butter, sugar, eggs and milk. Spoon the batter into the prepared loaf pan, smoothing the top with a spatula (or wet spoon). Bake in the preheated oven for about 40 minutes or until a tester inserted comes out clean and the bread is risen and golden brown on top. Cool in the pan for 10 minutes and then turn onto a wire rack to cool completely. Use a serrated knife to cut the bread after it has cooled down completely. Enjoy with your tea or as a side dish.